I’m writing from beautiful, friendly, walkable, and temperate-but-humid Portland, Oregon, where I’ve been attending Open Source Bridge (#osb14) and, before this, AdaCamp (#adacamp). Portland’s a really cool town, and these conferences are amazing. 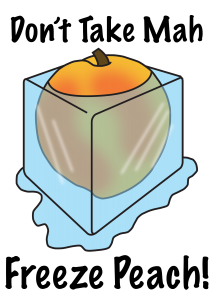 A community might be explicitly marginalizing, overtly discriminatory; implicitly marginalizing, subtly excluding certain groups; implicitly centralizing, welcoming of alternate perspectives, can validate them, but it’s on the minority group still to bring the topic up even though it’s okay when they do. And then there’s explicitly centralizing the alternate perspective. Bringing up and welcoming alternate perspectives without those minority [community members] needing to do that work. Sumana’s entire talk (let me link it again for you) is amazing, and I want to really emphasize her idea of the axes of liberty versus hospitality, because that is largely what I’m talking about, here. I want to talk about the ways in which these conferences are welcoming and are, in fact, more encouraging of free expression than conferences that make “liberty” a central value, instead of hospitality/inclusion. 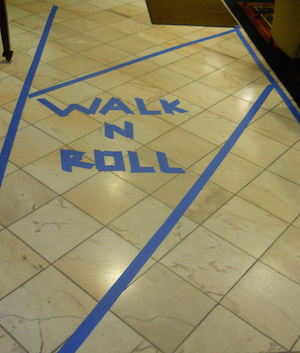 AdaCamp and OSB use blue tape to mark travel lanes (an idea which started at WisCon), so that people with mobility issues or wheeled transport can get around. This was the first I’d seen something like that, and it made everything better, for everyone. People were reminded (as needed) not to stand in the travel lanes, so everything was just much more efficient, for everybody. And while it’s worth saying that it benefitted everyone, as so many “accessibility” choices do, I really want to emphasize the message it sends, to people with disabilities: “You are welcome and included and invited to be equal participants, because you are valuable members of our community.” This message is important and meaningful. AdaCamp had gluten-free, nut-free, and gluten-free/nut-free foods, plus vegan and vegetarian options “including significant sources of protein in all cases.” All of the food at OSBridge is vegan, unless marked otherwise (instead of the usual, “we’ll mark the one vegan option”), and there are always gluten-free options. (I am opting for the gluten-containing ones, here, because I can’t tell which of the gluten-free ones have nuts. The allergy gets priority over the sensitivity, for obvious reasons. I’ll point this out if they send a survey.) This is actively welcoming—as Tim Chevalier says, centering the needs of people who are normally at the margins. And, finally, AdaCamp recommended putting preferred pronouns on our nametags, a practice which some people carried into OSB. This centralized in all of our minds the idea that not everyone would want to be called “she” (AdaCamp is for women, with an inclusive definition thereof), as did the explicit statement during the opening that we should not refer to groups of people as “ladies.” I would recommend that other conferences centralize this practice by providing nametag ribbons or signs that explicitly invite people to write their preferred pronouns on their nametags. Transgender and non-binary-gender-identified people are often excluded from discourse, even among LGB(T) communities, and, once again, this explicit welcome and reminder is valuable and important. Along the same lines, all conferences need to make sure that they provide facilities for people of all gender identities. AdaCamp did this by having a “Women’s” restroom and an “All Genders'” restroom. 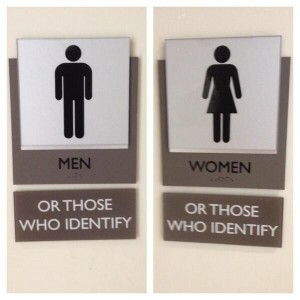 OSB has restrooms for “Men and those who identify” and “Women and those who identify.” Although some found the “and those who identify” distinction frustrating, it did make explicit the expectation that nobody would be challenged for choosing the restroom that they feel most comfortable using. I don’t know how to explain what an empowering, fun experience AdaCamp and Open Source Bridge have been. I wish the words would come. I wish I could share, somehow, with the people who complain about “political correctness” or who emphasize “freedom of speech,” how we all have been using inclusive language and respecting one another’s boundaries (or apologizing and fixing it, when we accidentally fail) and we have all laughed and enjoyed ourselves tremendously. I wish I had the words to express the extent to which I, and others from marginalized groups, have felt so much much more free to express ourselves, in this environment where our safety is assured, than we do anywhere else. And this has happened without preventing anyone from discussing important issues—quite the opposite—and without suppressing humor or fun. For my part, I have never been to a more fun set of conferences. For me, AdaCamp and OSB have been concrete proof that Codes of Conduct and policies that try to take everyone’s needs into account and include everyone (really everyone) are so much better and more enjoyable than the environments being “protected” by the emphasis on “liberty” and the backlash against Codes of Conduct. That OSB toilet labelling issue could have been better dealt with by labelling them ‘All those who identify as male/female’, rather than explicitly othering trans-folk. It’s still not perfect in assuming gender as binary, but better than ‘oh, and’. I’ve never heard of anything before as being marked “for those who identify as…” but it sounds intriguing. I haven’t been to very many conferences, but including people of all abilities etc. is indeed important. Thanks for this great post.